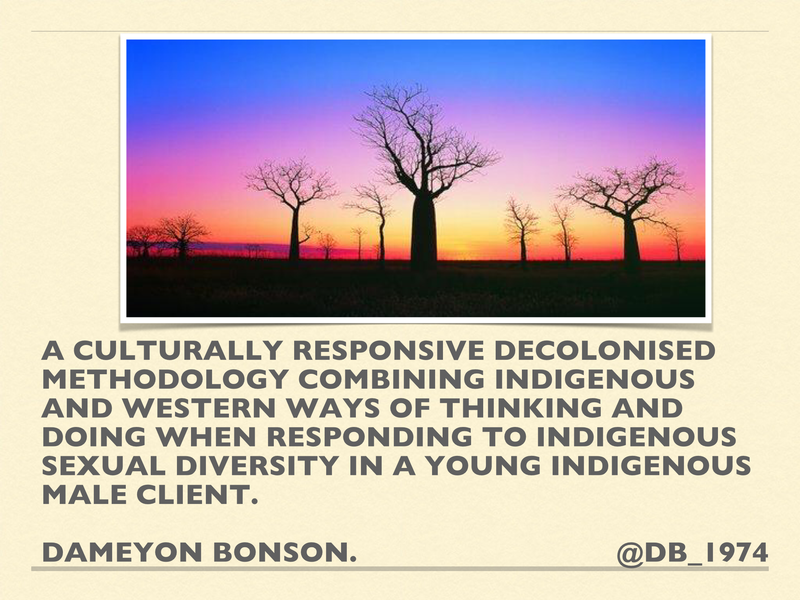 A culturally responsive decolonised methodology combining Indigenous and western ways of thinking…. A culturally responsive decolonised methodology combining Indigenous and western ways of thinking and doing when responding to Indigenous sexual diversity in a young Indigenous male client.. Categories: Dameyon Bonson, Decolonisation, Indigenous, Indigenous LGBQTI - Black Rainbow, Indigenous Suicide Prevention, LGBTI, Men's Health, Suicide | Permalink.